The Lynch Law Group assists transportation and logistics companies with the full range of business challenges, complex litigation and ever-changing legal, regulatory, compliance and related issues surrounding the process of moving people, products and goods. Our team takes a multi-disciplinary approach to transportation issues, incorporating the full extent of our services into the solutions we provide. Our Transportation Practice Group represents and defends transportation clients which include trucking and logistics companies, warehouses and related industries. 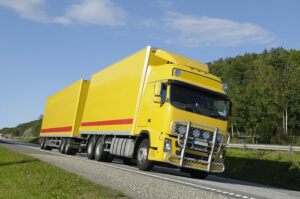 Our team represents regional and national motor carriers and Canadian truck lines. We interact closely with operations, safety personnel and drivers to assist in the management of a preventative and safe workplace. Recognizing the economic challenges that legal issues present to our clients, our experienced attorneys focus to provide optimal solutions while minimizing risks and reducing costs. We are unique in our approach to client matters, as our Transportation Practice Group Chair served for more than seven years as in-house counsel for a large national motor carrier and small-package delivery company, as well as serving as Vice President and General Counsel to a regional wholesaler. Frank Botta has served as the President of The Transportation Lawyers Association and is an active member of other national and international associations. Please contact Frank Botta to learn more about our expereince and capabilities in this area.